This is a photograph of my house, 22 Horsham Road, Pease Pottage, taken in 1963. It looks rather different today! You can see the houses of Barn Close in the background. 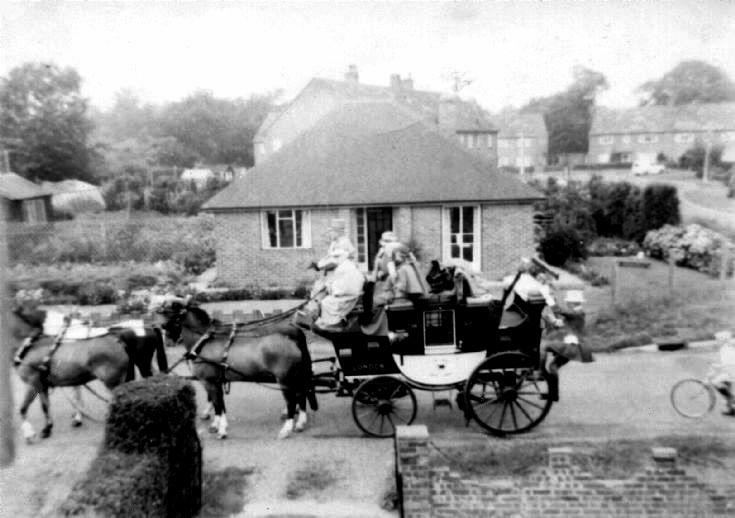 I believe the horses and stagecoach were part of a wedding procession. This is my childhood home, I was 3-year-old then. Our family name is Baigent. I'm sure i have seen that picture before. brings back memories.